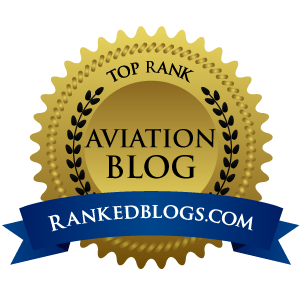 In my personal aviation world, LSA has finally arrived front and center. The Cessna Skyhawk that I fly (at least when the Hobbs is turning) now has a stablemate, and it’s damn cute, very practical, and will be a hit, guaranteed. 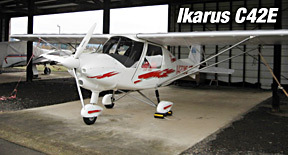 CFI Dorothy Schick, owner of TakeWing Flying Club at Hobby Field in Creswell, OR now has a brand new Ikarus C42E on her line, fresh off a round-the world journey from the Comco Ikarus factory in Germany. As soon as she and Paul King – the club’s other CFI – “learn to fly” the C42E and prepare some study materials, the C42E will become the dreamchaser for many new people who have finally made that wonderful decision to take flying lessons. • It weighs just 715 lbs. empty – I've ate steaks that weigh more than that. There are – reports Dorothy – a few minor ergonomic items that new Ikarus pilots must learn, but none so bizarre that a current pilot could not overcome with ease. And for new Sport pilot students who have never flown anything else, they won’t know that the flap handle is not usually found on the ceiling of the plane, or that the throttle being on a lever between your legs is just kinda weird. If you thought flight training was going to generate a bill that could approach $10 grand, think again. Earning your Sport Pilot certificate while learning to fly in TakeWing’s Ikarus C42E will cost maybe half of that, and be just as much fun. Yes, there’ll be a few limitations to your new ticket, but it is not a big leap to extend your flight privileges to those of a Private Pilot after mastering an LSA. 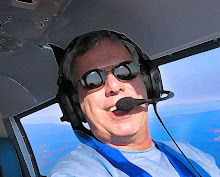 If you ever wanted to start flying, click this link and begin the journey. You will not find a more nurturing, friendly and safe environment in which to begin your Sport Pilot training. LSA is here, it’s not going away, so the GA community might as well embrace it with both arms. I salute Dorothy and those at TakeWing for making the investment to bring quality Sport Pilot training to this area.